Believe it or not, some writers are attracted to the Young Adult genre because they think this category is easier to write...that a child's or teen's mind is less demanding, easier to satisfy and, therefore, less demanding for an author. I'm not making this up. It has been privately admitted to me by a few. Gae Polisner is NOT one of those authors. 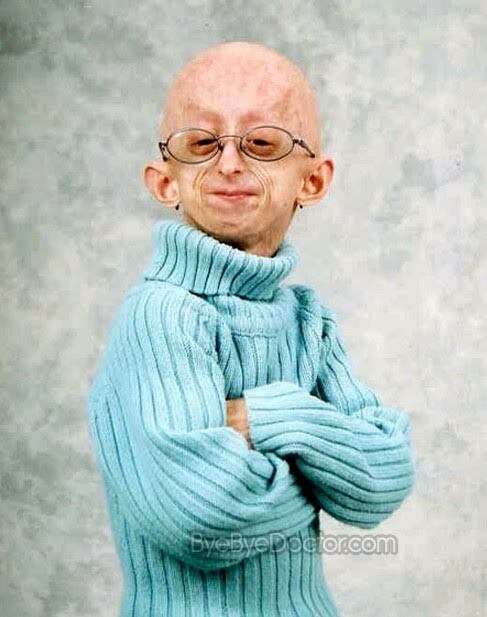 Writing YA faction demands a special understanding of the young mind. All of us have experienced the struggles that the teen years bring, but maturity erases the details. We remember the most terrible and joyful events, but much of the everyday angst and embarrassment fades as we learn to deal with life as an adult. 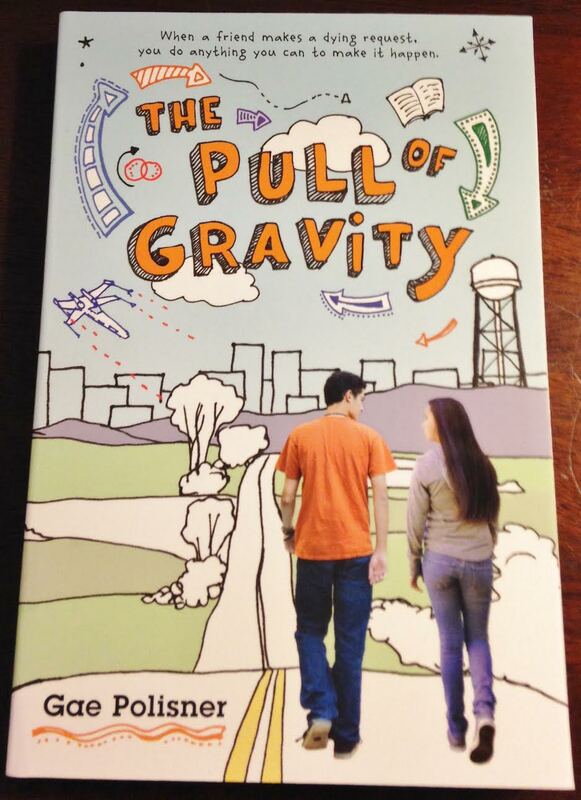 Polisner's The Pull of Gravity shows that the author has an exquisite understanding of young minds. Her characters Nick and Jaycee handle problems with siblings who torment and parents who disappear with an astounding authenticity. Nick rages over a father who checks out physically by becoming grossly obese before abandoning his family. His best friend, Scoot, is dying of progeria, and his brother, Jeremy, shoots holes in Nick's small bubbles of hope with snarky retorts. When Scoot entrusts a valuable book to Jaycee, a journey to maturity begins. Nick and Jaycee set off on a trip to find the now-deceased Scoot's father, unaware that it is all part of a plan. Polisner also skillfully weaves Steinbeck's classic Of Mice and Men into the story. 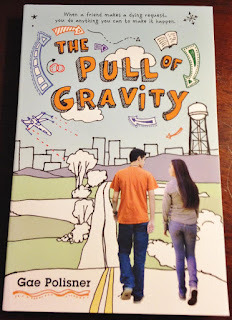 The Pull of Gravity has already been incorporated into many classrooms as educators have realized its appeal to young readers. I can't think of any other book that would shine more brightly in holiday gift wrap this season than this jewel of a story. It's sad that literature today is "dumbed down" for education as well...75 years ago the required high school reading was what is college level now. Seems we've advanced in the sciences and regressed hard in the arts... Literature is far from an option..it advances the mind's ability to perceive what it cannot visually see. That ability transfers into other thought processes....it's not just "English".